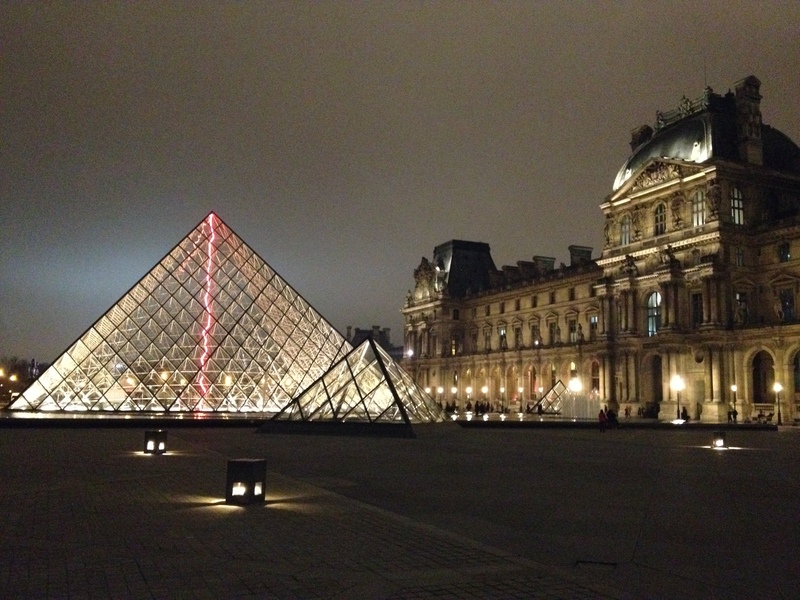 Billed as a place where climate scientists can meet, exchange, and debate their social scientist counterparts, the conference took place at the Musée des Arts et Métiers, Paris from 20-21 November 2014. After an address by Amy Dahan, CNSR, Matthias Heymann, Aarhus University, gave the opening talk. As a historian of science, he focused on two interrelated questions: how do climate scientists use their models and why do they trust them? His recent project involved reviewing a series of scientific climate change papers published between 1970s and 1990s, principally in the US. He wanted to understand how confidence was attributed, or emerged, in these articles. His study points to several sources of confidence routinely mobilised by climate scientists, at that time: (1) the agreement between observations and calculated data. That is, if the model performs well in reproducing the observation dataset this is reason to feel confident; (2) multiplicity of converging results. If different models, with similar characteristics, come to the same conclusion this is again another sign of confidence; and (3) sound physical basis of the models: faith in the physical theory, where familiar emergent features produced in climate simulations, act as confirmation by showing the fit of simulated and observed data, with familiarity of perceived success of deterministic climate modelling, multi models and similarity of results, means uncertainty becomes an invisible issue (not confronted). Next, and in a similar vein, Helene Gullimot, CNSR, looked at the plurality of confidence criteria used by climate modellers, and asked: how do modellers get confidence from their models? Akin to Heymann, she pointed to the role of physical theories, validation with observational data, and robustness of the results via model pluralism, physical understanding, and model holism. In all cases, she pointed to a epistemological trick in which confirmation or confidence is constructed through relational ties to other computer models, modelling centres, or how climate models are analytically impenetrable in the sense that it is impossible to tell, by any method, where to locate the sources of the failures of our models to match known data. One interpretation could be that it seems a series of discursive materials are circulated in a somewhat closed system of confirmation, making it institutionally harder to stray from ‘normal’ practices of climate modelling and the verification methods it holds. On the second day, Amy Dahan, CNSR, kicked off proceedings with a talk about a historic schism that runs through the governance of climate change. She argued that the IPCC, and the climate community more generally, had failed because emissions continue to grow. Pointing out a power inequality in the approach to climate change, it's a global problem requiring global solutions, she notes that the two key players: US and China are the main reason nothing has been achieved. The US were resistant to committing to reduction targets because of this top-down approach failed to appreciate that local circumstances (energy technologies, raw materials etc) differ for each country and a more bottom-up is needed instead. The US has got it's way as the Paris COP will try and do this. Hayley Stevenson, University of Sheffield, talked about institutionalising unsustainability in relation to climate change. She noted, that in spite of the failure of the Copenhagen COP, there are signs of political will to do something different in Paris next year. But she cautioned against equating agreement with success. For her, no agreement is better than a poor agreement as the latter gives off a false impression to the public and leaves the core set of experts disenchanted. She argued for greater reflexivity in ecological responses and a need for the discursive diversity at the global level to be reflected at the local level as well. I presented “Peculiarly British? The Making of 'Good' Regional Climate Science, Policy and Projections” which focused on the practical considerations, at once socio-technical and institutional-political, involved in putting together the UK's climate projections to ask a very simple question: does the place of scientific enterprise affect the conduct and content of climate science? I presented from the geographies of science angle, where UK science is shaped and conforms to three structural features (policy-relevance, centralisation, and reticence). The conference built successfully on previous events organised by the ANR ClimaConf Project. Abstract: Climate change is often treated as a global problem requiring global solutions. This is perhaps not surprising when computer models, institutional arrangements, and appeals to a global citizenry, work to shape the way the climate system comes to be known and the political machinery used to govern it. Such readings, however, suggest that climate knowledge is largely unfettered by the drag of distance, or its physical location, when evoking the ‘view from nowhere’ (Shapin 1999). Dissatisfied with such positivist renderings, geographers of science and STS scholars have focused on how the production of science, and its credibility, is shaped in different ways by place (e.g. Garforth & Stöckelová 2012; Henke & Gieryn 2008; Livingstone 2003; Powell 2007). Context matters and climate modelling is no exception. In building climate models scientists make numerous epistemological choices that are institutionally and culturally influenced, for instance. These choices affect the final output in a myriad of ways (Shackley 2001). Using fieldwork findings on the United Kingdom’s latest regional climate projections: UKCP09, this paper asks: how is the conduct and content of science affected by where its produced? A peculiarly British style for doing climate science is advanced, with its own unique structure, culture, and policy-demands, not too dissimilar to Jasanoff’s (2005) civic epistemologies, which have affected modelling practices over how to treat uncertainty, commitments to higher-resolution data, and exclusion of critical voices; suggesting that science is shaped by a series of practical considerations, at once socio-technical and institutional-political, reflecting where it was made: Britain. The programme from the conference is available here.